Hooray! Hooray! It’s finally Handmade Arcade Time! 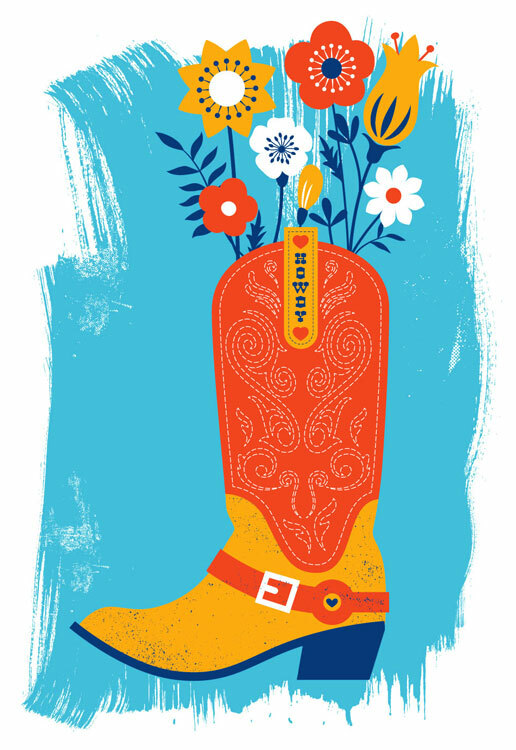 Our favorite show of the year is the 14th annual incredible showcase of handmade artists, makers, and crafters not just from around the Western PA region but from around the country. We will have many new goodies and classic favorites at our booth for all of your Holiday gift and Treat Yo’self needs! Handmade Arcade itself, FREE TO ATTEND! Don’t miss Handmade Arcade’s inaugural benefit event on Friday night! (Open to ages 18+.) Tickets are available for The Cutting Edge HERE. Lots to do and make! Want to beat the crowds and get a first look at all of the handmade wares? Purchase an Early Birdie Shopping Hour ticket and enjoy the exclusive opportunity to shop one hour before the event opens to the public! Early Birdie ticket holders will receive a black cotton tote bag custom designed by Handmade Arcade vendor Kim Fox (Worker Bird) and filled with crafty coupons and surprises from this year’s event sponsors and vendors. Children 12 and under are admitted free with a ticketed adult to the Early Birdie Shopping hour. A limited number of tickets available. The David L. Lawrence Convention Center is located at 1000 Fort Duquesne Blvd, Pittsburgh, PA 15222. The Cutting Edge: A Fundraiser for Handmade Arcade & Preview Party: is the night before Handmade Arcade on Friday December 7, 2018 from 5:30 – 8pm for $30-$40. Tickets are available for The Cutting Edge HERE. 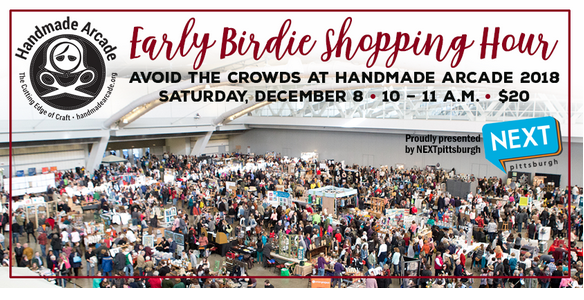 Early Birdie Shopping Hour: is a great way to experience Handmade Arcade minus the crowds and enjoy the exclusive opportunity to shop one hour before the event opens to the public, from 10-11am on Saturday December 8, 2018 for $20. Tickets are available for Early Birdie Shopping Hour HERE! Handmade Arcade proper is from 11am-7pm on Saturday December 8, 2018 – one day only! And Handmade Arcade is FREE TO ATTEND. Hello lovely Nashville! We are heading back to see you this weekend for the wonderful Tennessee Craft Fair and we can’t wait! And in fun news, our good friend Go Carr Go will be traveling along and our booth neighbor too. 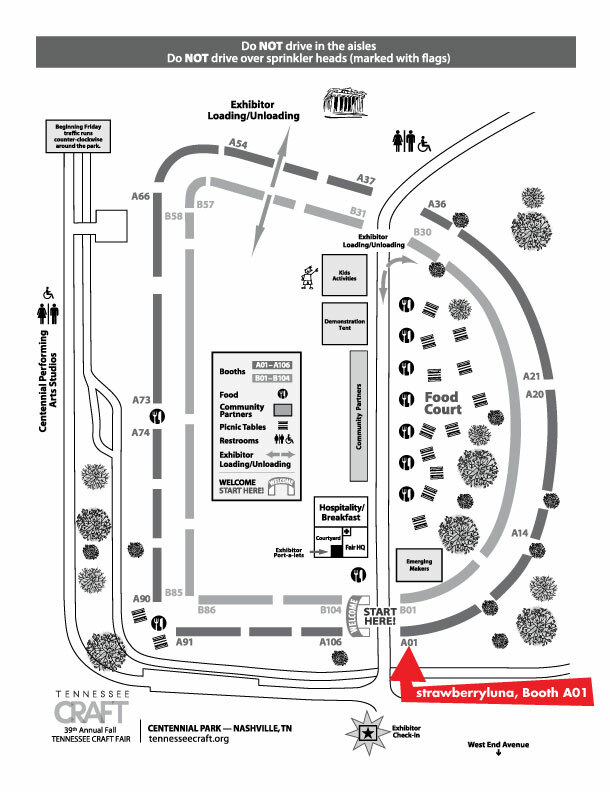 See the Fair Map below! Tennessee Craft Fair – Friday October 12th – Sunday October 14th, 2018 in Centennial Park in Nashville, TN. We’re thrilled to be back in the wonderful Tennessee Craft Fair that features national level fine hand craft and artisans gathered together. Join the Nashville tradition of celebrating and supporting American handmade craft at this premier event on the lawn in Centennial Park. Shop one-of-a-kind, finely crafted artwork directly from the juried, award-winning artists. A unique feature of Tennessee Craft Fairs requires artists to be on-site so while shopping, you’ll meet the artists (like us! ), learn what inspires us and how we take raw materials like clay, paper, wood, metal and glass and transform them into fine craft. In addition to the array of high quality craft, visitors enjoy fun hands-on activities in our Kids’ Tent, food from area vendors and demonstrations from artisans aimed to educate as they create pieces in front of your eyes. For more info CLICK HERE. 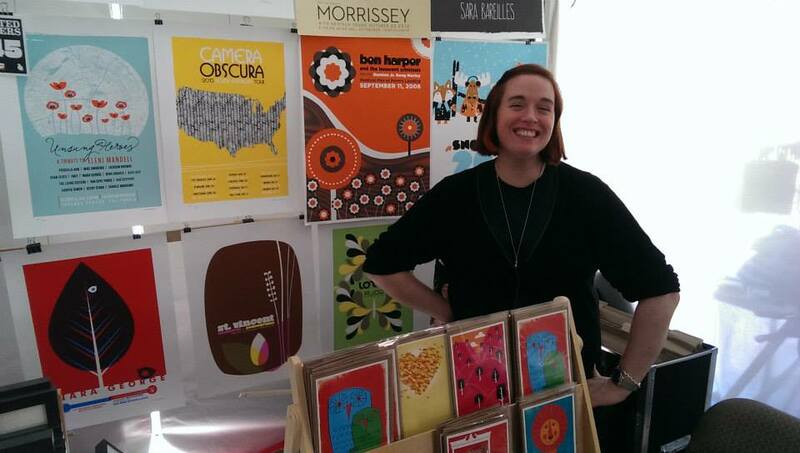 Who: Tennessee Craft Fair in Nashville, TN is Free & Open to All! Where: Along the intersections of West End Ave and 26th Ave. S. & 27th Ave. N. in between Vanderbilt Campus and The Parthenon. When: Full Festival: Friday Oct. 12th from 10am to 6pm / Saturday Oct. 13th from 10am – 6pm and Sunday Oct. 14th from 10am – 5pm. Hello Williamsburg! We will be showing for the first time at the historic An Occasion For The Arts on Saturday & Sunday October 6th & 7th in Williamsburg, VA. Yay! An Occasion For The Arts was founded in 1969 to provide Williamsburg with an arts extravaganza. Since then it has grown, year by year, to become the area’s premier art and music festival. An Occasion For The Arts draws outstanding artists from around the country on the first weekend in October each year. Lively performances are held both days on our two stages, and the popular food court provides a culinary taste of fall. For more info CLICK HERE. We will be at Booth 62 in the Duke of Gloucester Section, with loads of our new Art Prints, and new Rock Posters plus Greeting Cards and Alphabet Prints too, long with 145 artists from around the United States. A list of participating artists can be found here and a full map and listing can be found here. We hope to see you there Williamsburg! Who: An Occasion For The Arts Arts & Music Festival in Williamsburg, Virginia is Free & Open to All! With 145 Artists from 21 states + Israel & Canada. Come See Us @ Artrider Fall Crafts At Lyndhurst! 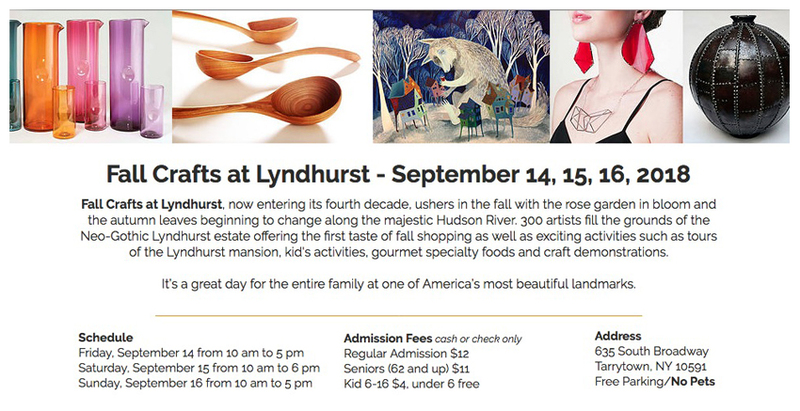 Fall Crafts At Lyndhurst – Friday September 14th – Sunday September 16th, 2018 in majestic Tarrytown, NY at the beautiful and historic Lyndhurst Estate grounds on the Hudson River. We’re heading north and we couldn’t be happier to be on our way to first time at Fall Crafts At Lyndhurst in the heart of the Hudson Valley. Come join us with over 300 top artisans and handmade makers from all around the United States. For more info CLICK HERE. Who: Over 260 handmade fine craft artisans from around the country! Where: The Lyndhurst Mansion Estate, located at 635 South Broadway Tarrytown, NY 10591. Free Parking! Why: Because handmade is best. A Fair In The Park 2018! Hello Pittsburgh friends! It’s time for the 49th Annual A Fair In The Park! And it’s so nice for us to do a show here at home. So come on out and see us + 105 other amazing handcraft artists from around the region. We will be Booth #71, in the lower section. A Fair In The Park – Friday September 7th – Sunday September 9th, 2018 at Mellon Park, in Pittsburgh PA. Presented by the Craftsmen’s Guild of Pittsburgh, entirely artist run A Fair in the Park is held in the lush surroundings of Pittsburgh’s Mellon Park. An estimated 20,000 dedicated visitors enjoy the opportunity to interact with over 100 regional and national artists working in a variety of mediums including clay, fiber, wood, jewelry, glass, metal, mixed media, and two-dimensional art. For more info CLICK HERE. What A Fair In The Park, is held in the lush surroundings of Pittsburgh’s Mellon Park. An estimated 20,000 dedicated visitors enjoy the opportunity to interact with over 100 regional and national artists working in a variety of mediums including clay, fiber, wood, jewelry, glass, metal, mixed media, and two-dimensional art. A Fair In The Park is FREE to attend and very family friendly! Where: is held in the lush surroundings of Pittsburgh’s Mellon Park located at 6300 Fifth Ave. Pittsburgh PA 15232 in Shadyside / Point Breeze. When: September 7-9, 2018. The show hours are FRI: 1pm-7pm, SAT: 10am-7pm, and SUN: 10am-5pm. Why: Because local & handmade are best! Hello Lexington & Kentucky! We are heading your way this weekend for the Woodland Art Fair 2018 • Hours: Sat.8/18 – 10am-6pm and Sun. 8/19 – 10am-5pm RAIN ☔️ OR SHINE☀️ so come on out and get your art on! 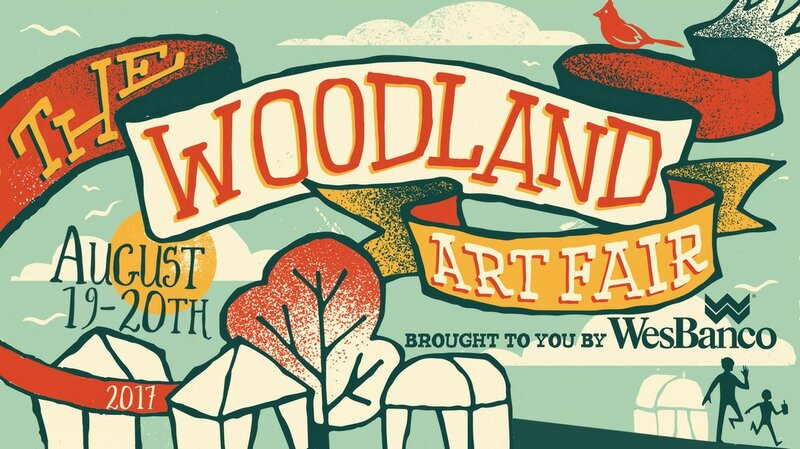 Woodland Art Fair is held on the beautiful Woodland Park grounds (601 East High Street, Lexington, KY 40502). Over 200 artists, enjoy live music, Kentucky food, beer gardens, family art engagement activities all available with FREE admission. Every August for more than 40 years, Woodland Park transforms into a venue filled with over 200 artists and craftspeople selling unique, handcrafted items. Items for sale include ceramics, wood, jewelry, painting, metal, fiber, mixed media and photography. 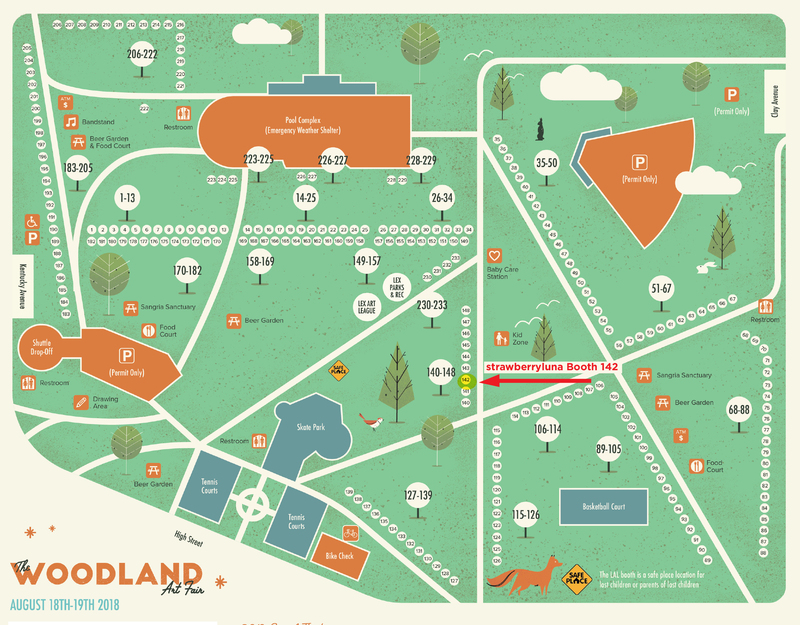 In addition to hundreds of art vendors, the Woodland Art Fair features live entertainment, local food and beverage vendors, and free hands-on art activities for children and families. For more info CLICK HERE. Hello Lakewood, OH! We can’t wait to meet you at our first appearance at the Lakewood Arts Festival on Saturday, August 4, 2018 from 10 a.m. – 6 p.m in Lakewood, OH. And yep, this is just a 1-day show so don’t miss out. For forty years, the Lakewood Arts Festival has brought local and national artists to the streets of Lakewood, Ohio the first Saturday in August. With over 10,000 attendees, this one day show with arts and entertainment all day long this show features over 165 artists. Click here for a list of participating artists. 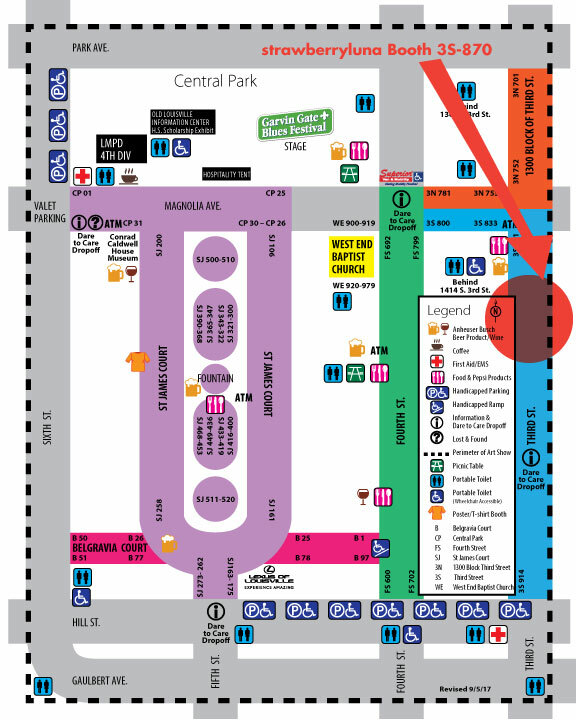 We will be in Booth #83 at Detroit & Gladys Avenues, (see Map below – so we’re easy to find!) and will have lots of our hand pulled silkscreen Art Prints, our popular screenprinted Alphabet Prints, our silkscreen printed Rock Posters, all of our current Greeting Cards and lots of new goodies along with us so come on out and enjoy the day celebrating handcraft and art by working artists and craftspeople. Who: Over 165 Artists and Craftspeople from around the region. Why: Because handmade in the US is best. Come Join Us at American Artisan Festival in Nashville! Hi Nashville! We’re excited to see you again! 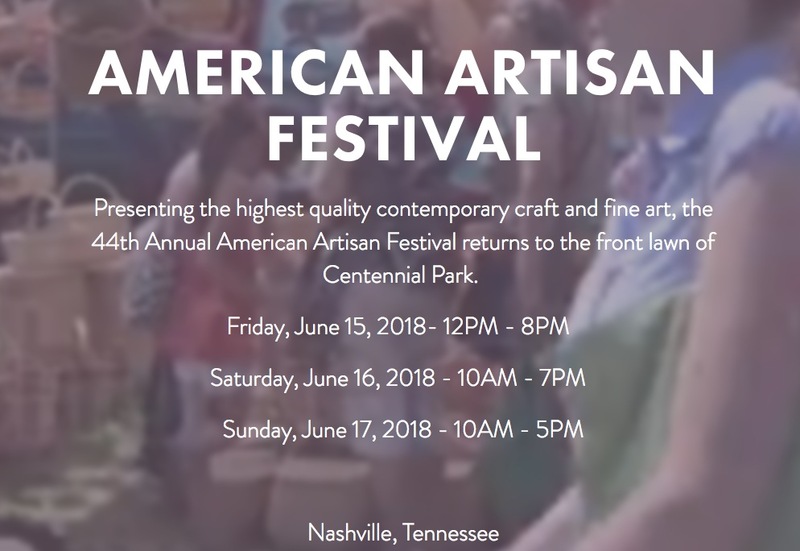 This coming Father’s Day Weekend the wonderful American Artisan Festival returns to historic Centennial Park in Nashville, TN for a long weekend of Fine Craft & Fine Art this Friday June 15th – Sunday June 17th, 2018. We are thrilled to be returning to Music City and participating in the revival of the historic American Artisan Festival as this show of American fine hand craft showcases 150 artists from over 30 states and it truly a one of a kind show. 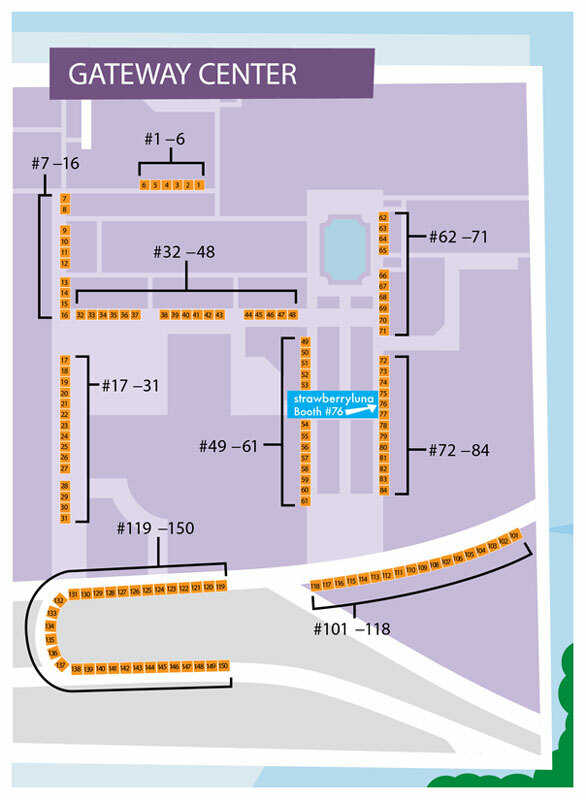 We will be in Booth #2, (see Map below – so we’re easy to find!) and will have lots of our hand pulled silkscreen Art Prints, our popular screenprinted Alphabet Prints, our silkscreen printed Rock Posters, and lots of new goodies along with us so come on out and enjoy the day celebrating handcraft and art by working American artisans. 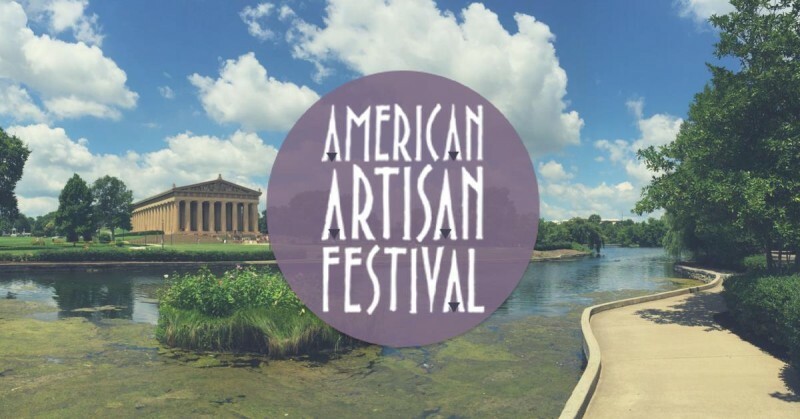 What: American Artisan Festival, now in it’s 44th year. Who: Over 150 juried Fine Craft & Fine Artisans from around the U.S. The city continues to hold a special place in its heart for this great festival and the Father’s Day tradition that is all about enjoying fine art and family fun. Always free to the public, fair goers enjoy live music all day by some of Nashville’s most talented musicians, FREE children’s art activities including ceramics and craft making, and more than fifteen artisanal food and drink vendors including craft cocktails, beer and wine. 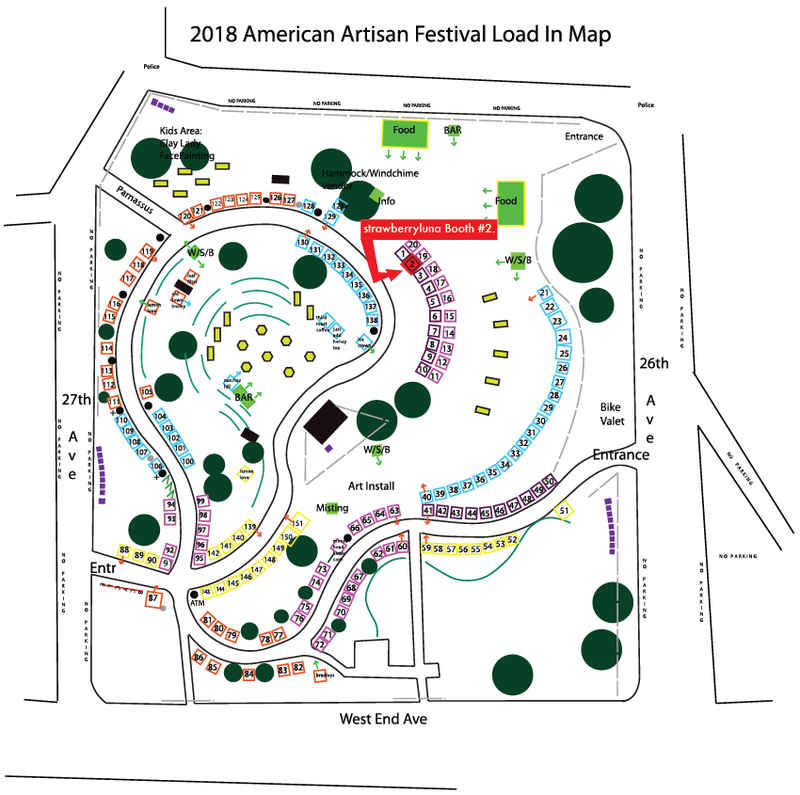 For the complete list of of the artists & booth numbers & musical performers click HERE and for overall info about American Artisan Festival for more info CLICK HERE. 3 Rivers Arts Fest Time! Dear Pittsburgh, it’s Arts Fest Time! 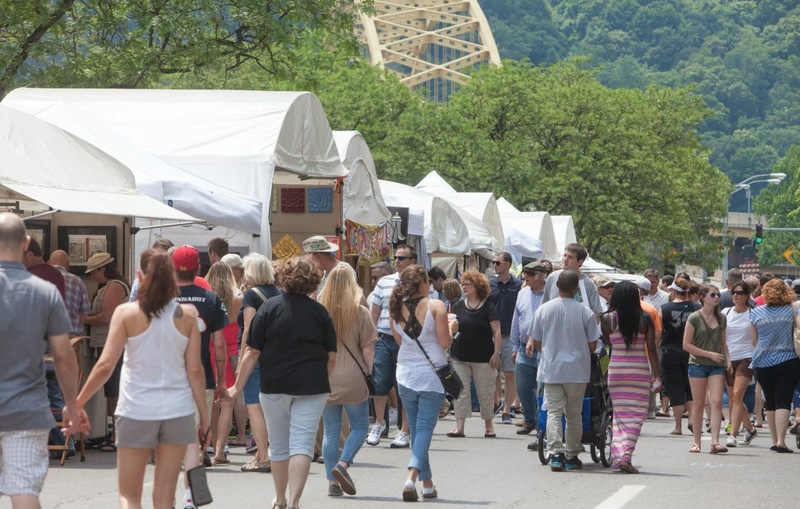 Come join us at Three Rivers Arts Festival where we will be showing and vending along with hundreds other nationally recognized artists and craftspeople for the amazing Artists Market. 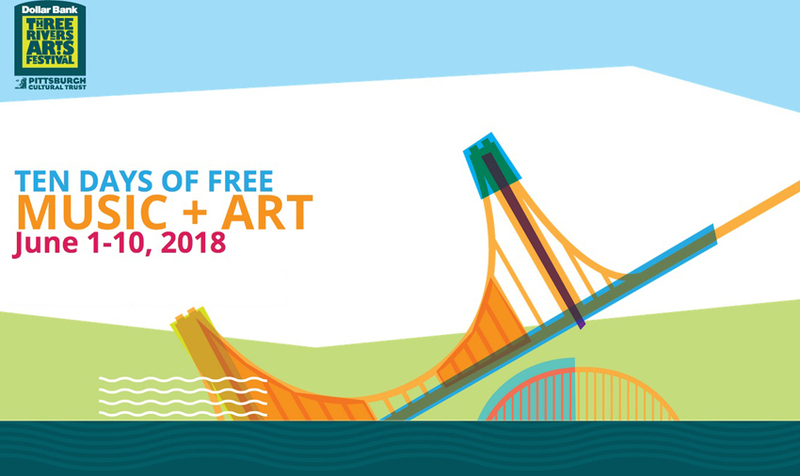 Find us at Booth #76 on Gateway Plaza – but note that we’ll ONLY be in the Artists Market from Friday June 1st – Tuesday night June 5th (and then a whole new set of artists will be in the Market for the next week) each day from 12 noon – 8pm. For the full music line up, click here. 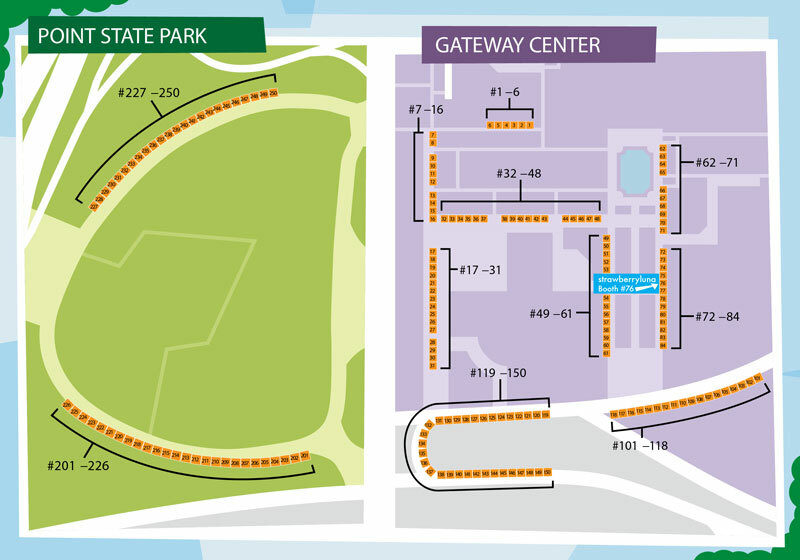 Here’s a map of the Gateway Center Artists Market, and the full map is just a bit farther down for you. 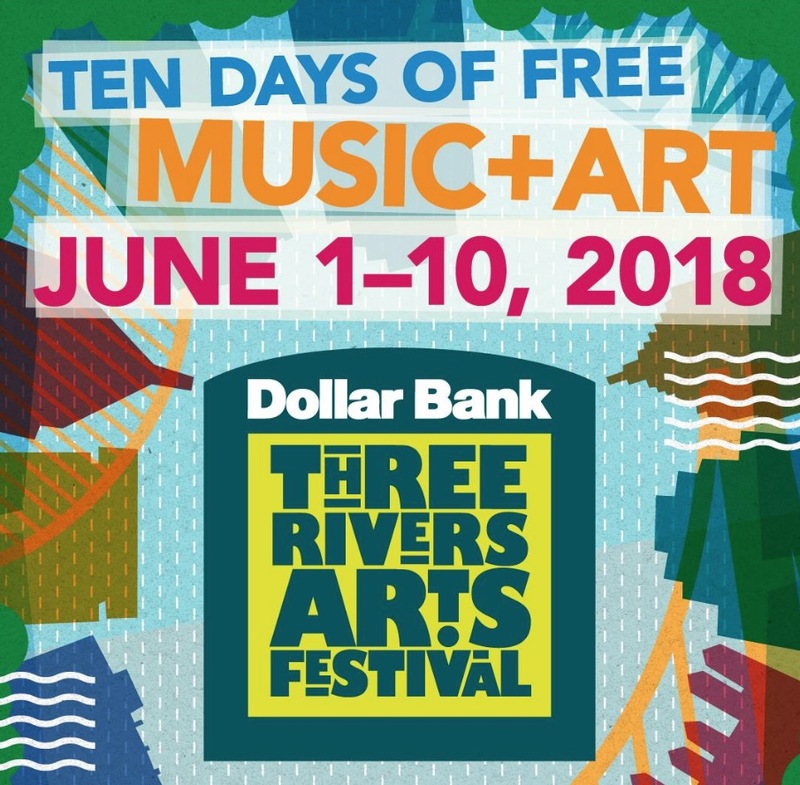 Three Rivers Arts Fest – This year the Festival runs from Friday June 1 – Sunday 10, 2018 in Pittsburgh, PA. Yay! We love Three Rivers Arts Fest! *BUT PLEASE NOTE* we will ONLY be in the first 5-day session on Gateway Plaza at Booth #76 from Friday June 1st to Tuesday June 5th – ONLY. The Dollar Bank Three Rivers Arts Festival, a production of the Pittsburgh Cultural Trust, is a celebration of the arts in downtown Pittsburgh unlike any other in the nation. For more info CLICK HERE. 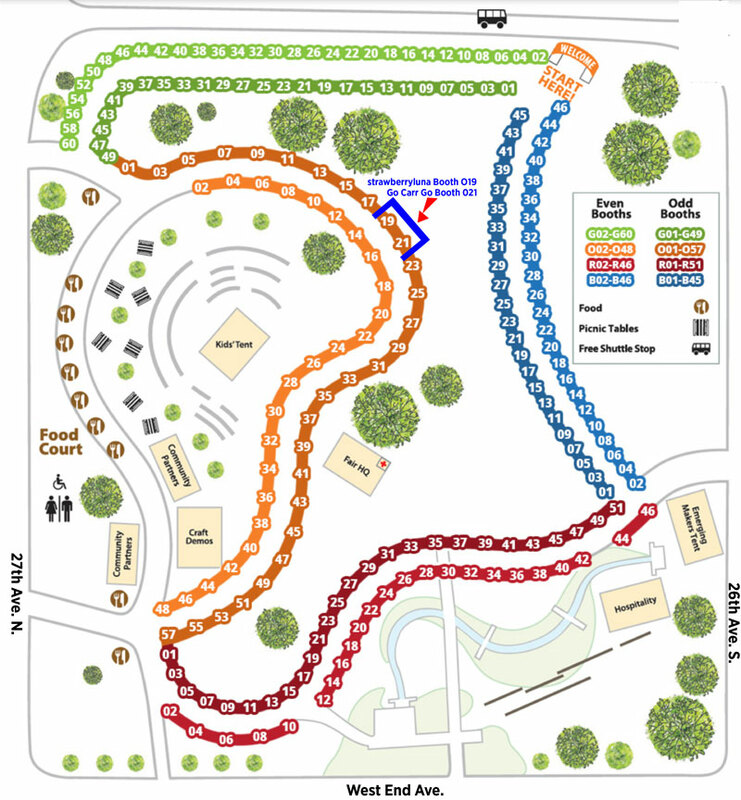 Full 3 Rivers Arts Fest Market Map Below, with just Gateway Center (where our booth is!) below that. ARTIST MARKET HOURS: 12-8pm each day. LOCATION: Downtown Pittsburgh, PA in and around Gateway Center & Point State Park. ARTIST EXHIBITORS: There will be literally hundreds of fine art and contemporary craft artists from around the country representing the highest quality work including painting, photography, mixed media, garden sculpture, ceramics, glass, wood, furniture, metal, jewelry, wearables and so much more. 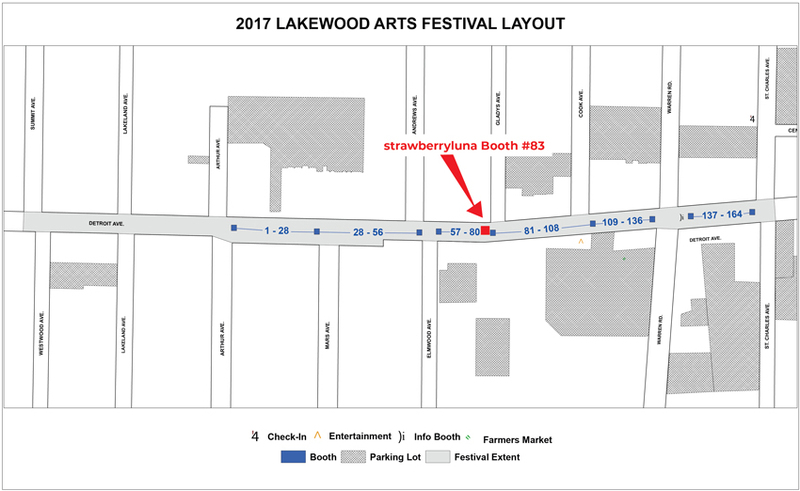 The Artists Market has multiple sections and changes many times throughout the Festival so do check out the Artists List here with dates and Booth locations. The Richmond Craft Mafia’s 13th annual Spring Bada-Bing Indie Craft Show is happening on April 21st at The Hardywood Craft Brewery and we can’t wait to be there again! This is such a fun show and our first show of the year. This year all of the artists and vendors will be together under the big tents outside of Hardywood’s Brewery. Come shop the best spring craft show in town, filled with the best indie makers, crafters, artists, and designers! We will have lots of our hand printed silkscreen rock posters, art prints and nursery art, and greeting cards as well as some new fun items too! When: April 21st, 2018 from 11am- 6pm. Who: 40+ Handmade and Handcraft artisans from around the country. So come join us in celebrating the return of Spring with a lovely, highly curated selection of 40+ vendors of handmade & handcrafted wares. Sip a craft beer and shop the vendors, featuring wide variety of work in categories such as clothing, accessories, plush toys, jewelry, pottery, bath and body products, 2-D art, food gifts and much more! As always Spring Bada-Bing is FREE to attend and a family friendly event. Join the movement and buy handmade! St. James Court Art Show this weekend! Hello Louisville, KY! 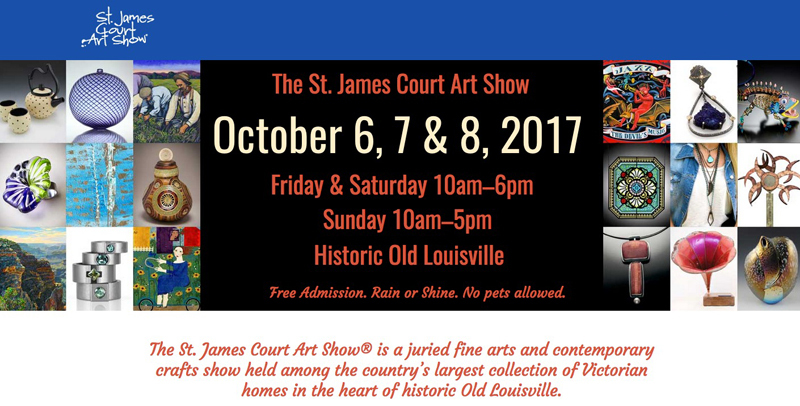 We’re hitting the road once more for the St. James Court Art Show – Friday October 6 – Sunday October 8, 2017 in the historic Old Louisville neighborhood. We are thrilled to be returning to the Third Street Section, Booth (3S) 870 between Magnolia Ave. & Burnett Ave near the Samuel Culbertson Mansion. This autumn tradition draws 200,000 visitors who come to purchase unique handcrafted items directly from the hands that created them. The Show features a juried selection of over 700 of the county’s top artisans, makers, crafters and artists show at this amazing fair. It’s a doozy ya’ll! Always held the first full weekend of October, the St. James Court Art Show has been running continuously for 60 years. For over 60 years, the first full weekend in October has meant that it’s St. James Court Art Show time. What originally began as a way to pay the bills has become an autumn tradition that draws hundreds of thousands of visitors to see (and purchase) original art from talented artists. Where: Old Louisville, for GPS purposes use this address: 1402 St James Court, Louisville, KY 40208. Find the Art Show on Google maps here. When: Friday October 6, 2017 – Sunday October 8, 2017. Friday & Saturday 10am – 6pm, Sunday 10am – 5pm. Tennessee Craft Fair in Nashville this weekend! Hello Tennessee Craft Fair! Tennessee Craft hosted the state’s first craft fair in 1972. This Nashville tradition continues this fall when over 200 juried and award-winning artists from across the nation come together to showcase their work. Come celebrate and shop American handmade fine craft! Tennessee Craft Fair – Friday September 22 – Sunday 24, 2017. We’re awfully excited to head to to Nashville (one of our favorite cities!) for the historic Tennessee Craft Fair. It’s our 1st time at this beloved Tennessee outdoor show. Join us on the lawn of Nashville’s Centennial Park for the 39th Annual Fall Tennessee Craft Fair! 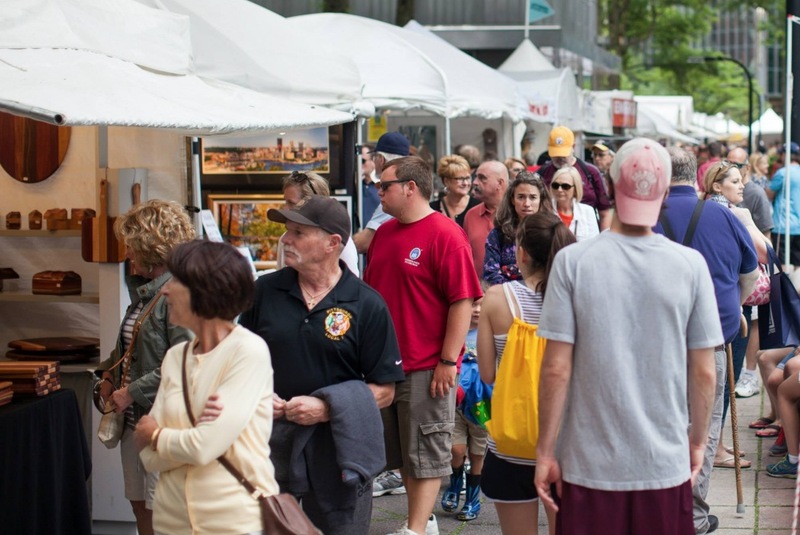 Shop directly from over 200 juried national fine craft artists, see live demonstrations & have fun in the Kids’ Tent. Join the Nashville tradition of celebrating and supporting American handmade craft at this premier event on the lawn in Centennial Park. Shop one-of-a-kind, finely crafted artwork directly from the juried, award-winning artists. While shopping, you’ll meet the artists, learn what inspires them and how they take raw materials like clay, wood, metal and glass and transform them into fine craft. For more info CLICK HERE. We are in Booth A01, and we’ll have lots of our hand silkscreen printed Art Prints, Greeting Cards, Alphabet Prints, Rock Posters and more along for the trip too (some examples below as well as a map of the Fair), so do drop by and say hello! 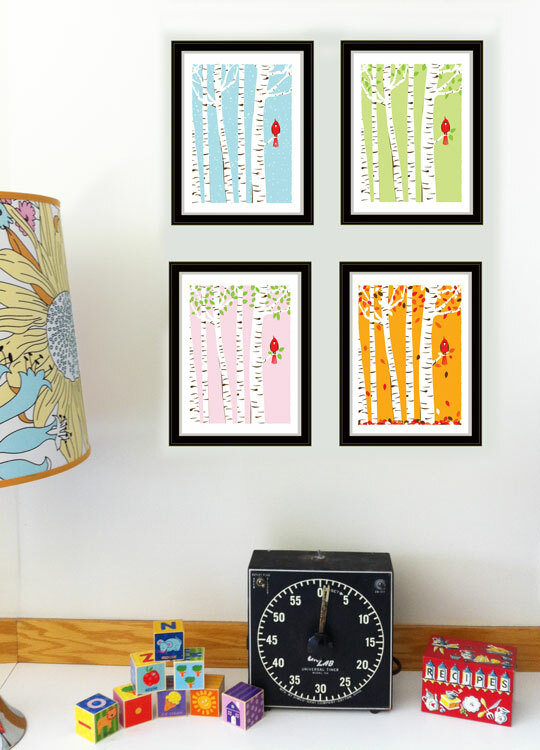 Above, our new “Howdy Love” silkscreen print and below, our Mini Cardinal Seasons Print Set. Hooray! Country Living Fair Ohio is this weekend! 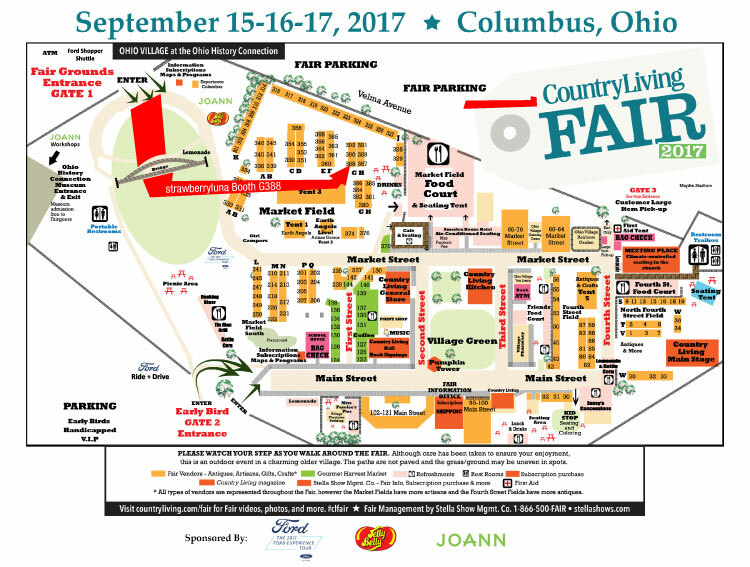 We are so happy to be heading back to the adorable and quaint Ohio Village in Columbus, OH this weekend for the unique and ultra fun Country Living Fair, Ohio – Friday September 15 – Sunday September 17, 2017. If you’ve never been to the Country Living Fair you are missing out on a really special weekend. For reals. It’s a great big show and sale of antiques, vintage, handcrafted goods, art, furniture, home decor, handcrafted clothing and jewelry and so much more. Demos by handcraft artisans as well as nationally known designers. Some of the featured guests for 2017 include The Fabulous Beekman Boys Josh Kilmer-Purcell and Brent Ridge; Kim Leggett of City Farmhouse; DIY Network designer Joanne Palmisano; Karri Perry from Blue Ribbon Kitchen, Jana Platina Phipps of Trim Queen, and many more. Meet the editors of Country Living Magazine and their guests, attend seminars, workshops, and how-tos, see artisan demonstrations, shop the Harvest & Gourmet Market, and gather ideas and inspiration. For more info CLICK HERE. 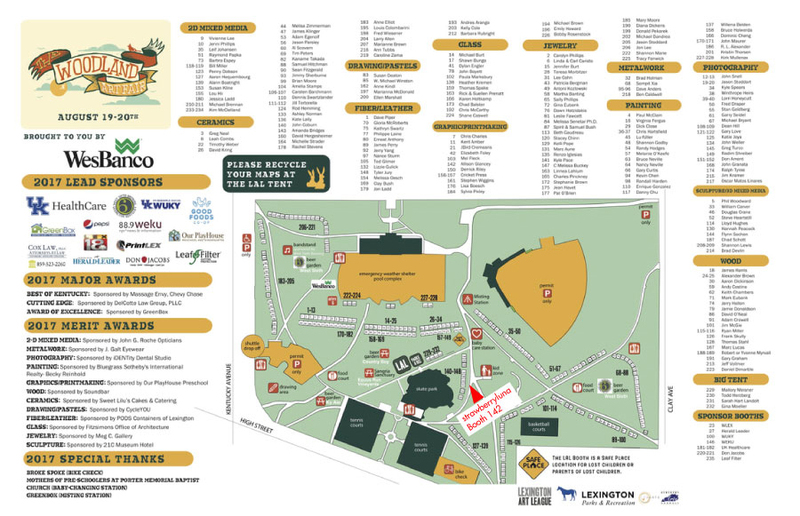 We will be in the Market Field off Market Street, in a corner Booth G388 (full Fair map below), with lots of new prints and goodies. Come by & say hello! Discounted Fair admission tickets will be on sale at all Ohio JOANN Stores beginning July 7th until September 14th. JOANN exclusive- $30 Early Bird 3 Day Weekend Pass tickets! Open 10 to 5 each day, held rain or shine in tents and outdoors in the quaint historic village. Live Music will be performed by the Blue Water Ramblers and Jackson Pines. When: Friday September 15th – Sunday September 17th, 2017. 10-5pm each day. A Fair in the Park 2017 is here! It’s that lovely time of year in Pittsburgh, cooler temperatures and that last feeling of summer. Otherwise known as A Fair In The Park! Come join us Friday September 8 – Sunday September 10, 2017 at Mellon Park, in Pittsburgh PA. Presented by the Craftsmen’s Guild of Pittsburgh, A Fair in the Park is held in the lush surroundings of Pittsburgh’s Mellon Park. An estimated 20,000 dedicated visitors enjoy the opportunity to interact with over 100 regional and national artists working in a variety of mediums including clay, fiber, wood, jewelry, glass, metal, mixed media, and two-dimensional art. For more info CLICK HERE. Hello Lexington, KY! We can’t wait to meet you. Come out for a beautiful weekend of soft summer air and incredible handcrafted American art. Get a preview of the work that will be on hand and the artists by clicking here. 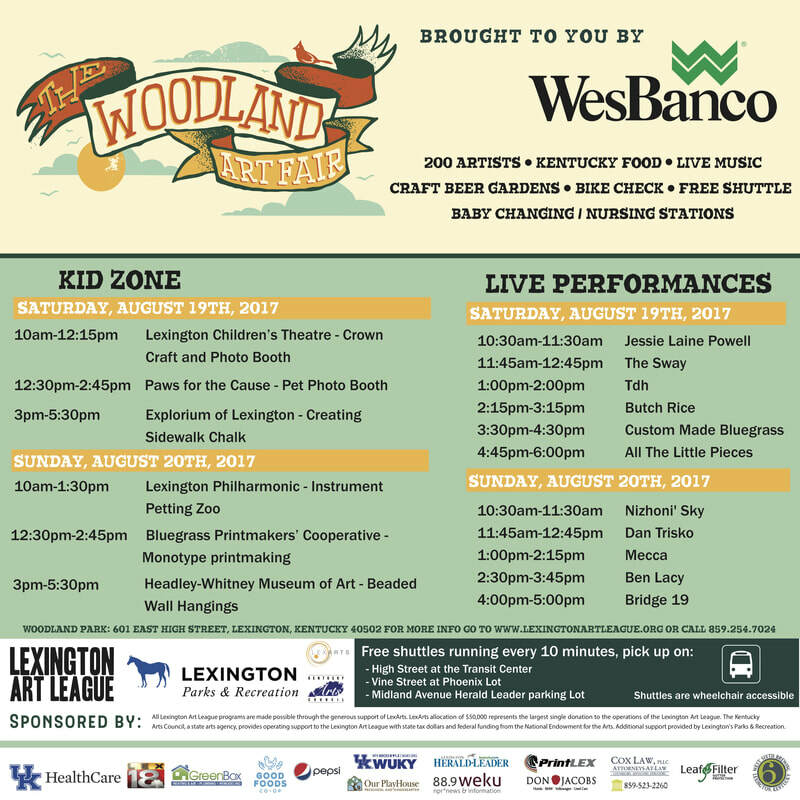 Woodland Art Fair will be held on August 19th and 20th, 2017, inside the Woodland Park grounds (601 East High Street, Lexington, KY 40502). Shop over 200 artists, enjoy live music, Kentucky food, beer gardens, and create your own family art-all with free admission. Woodland Art Fair has received several national, regional & local honors including being voted a Top 200 Fine Art & Design Show in the nation in 2007-2016 by Sunshine Artist Magazine, a Top 20 Event by The Southeast Tourism Society & a Top 10 Festival by The Kentucky Travel Industry Association. Woodland Art Fair is FREE to attend and will be held rain or shine, so let’s hope for shine! WHAT: Shop 200 artists, enjoy live music and food, and create your own family art- all with free admission. WHEN & WHERE: August 19-20, 2017, inside the Woodland Park grounds (601 East High Street, Lexington, KY 40502). HOURS: 10am-6pm Saturday, 10am-5pm Sunday.